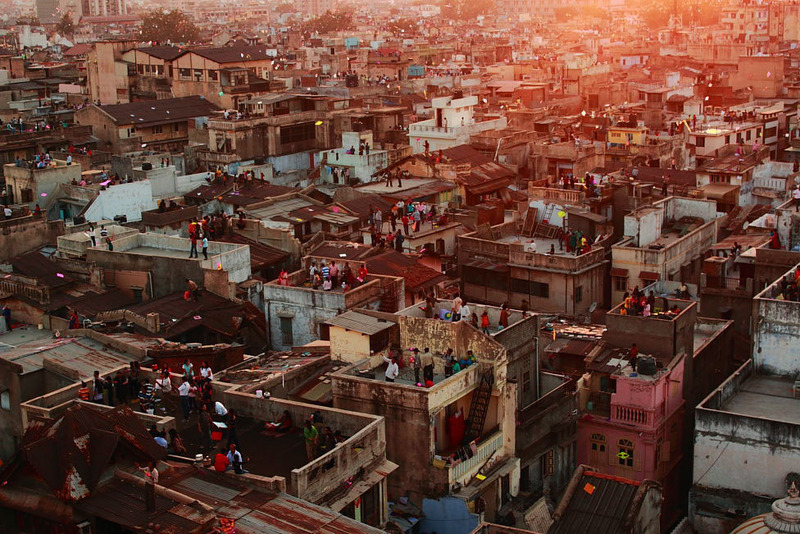 Old Ahmedabad. 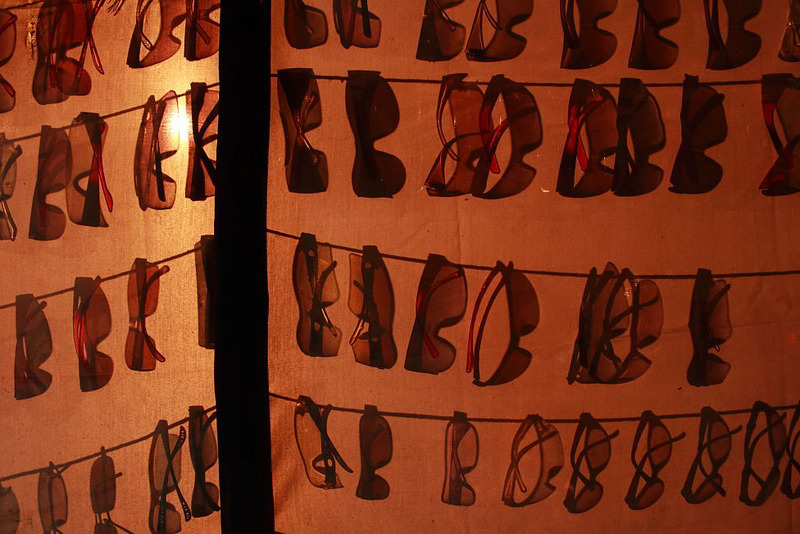 The setting for Prashant Bhargava's Patang (Kite). 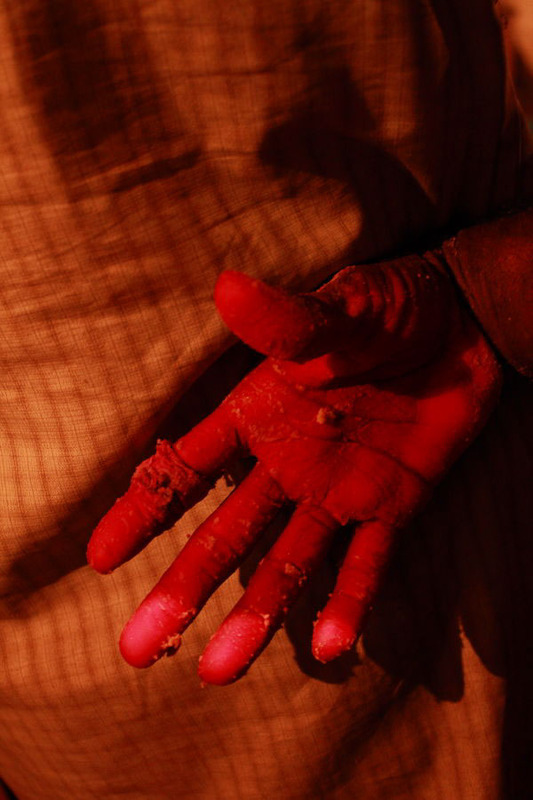 The film will premiere at Berlin Film Festival, 2011. 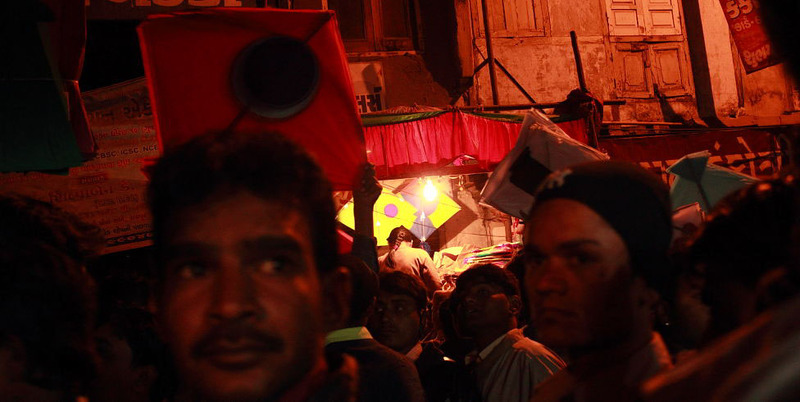 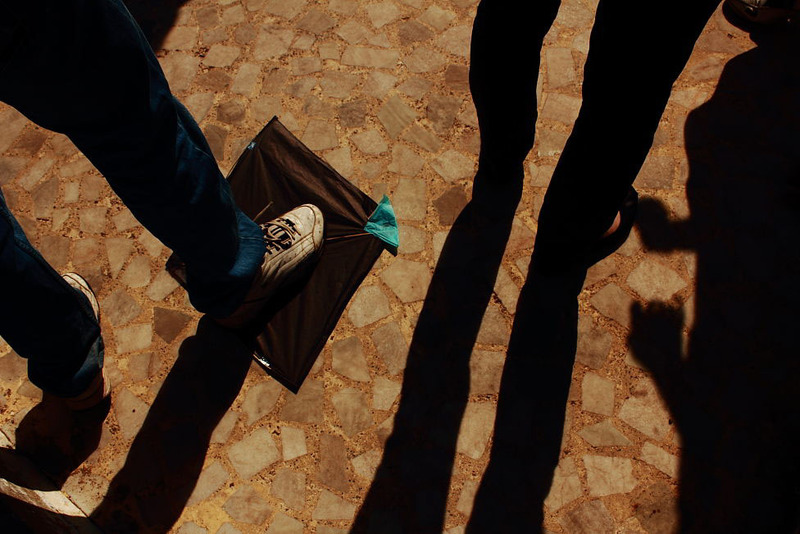 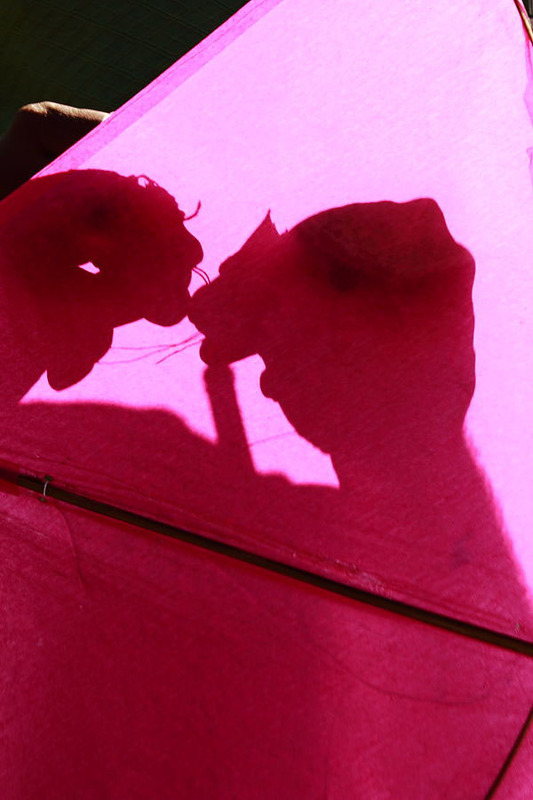 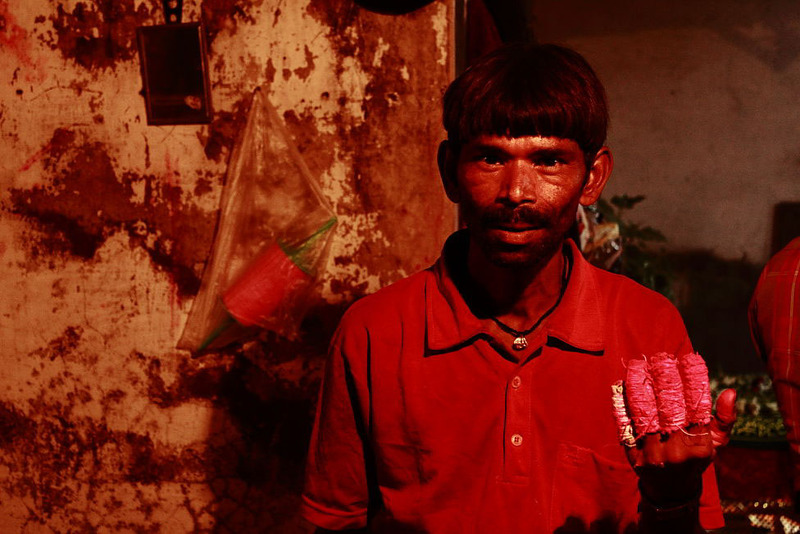 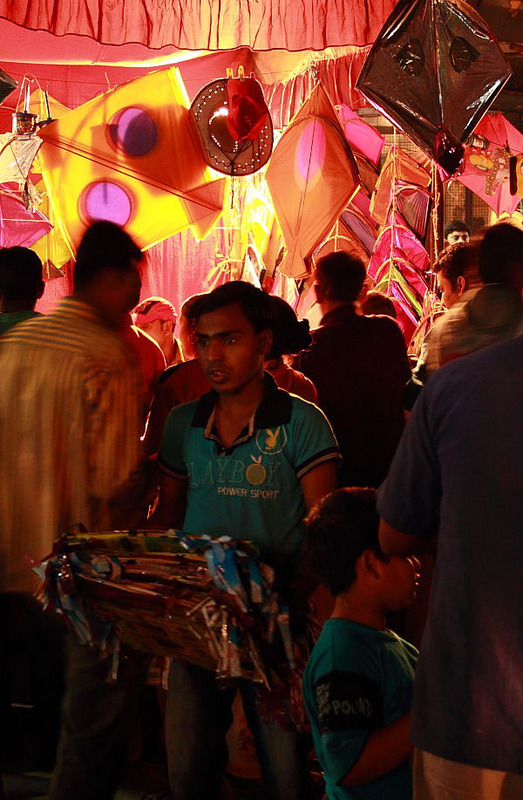 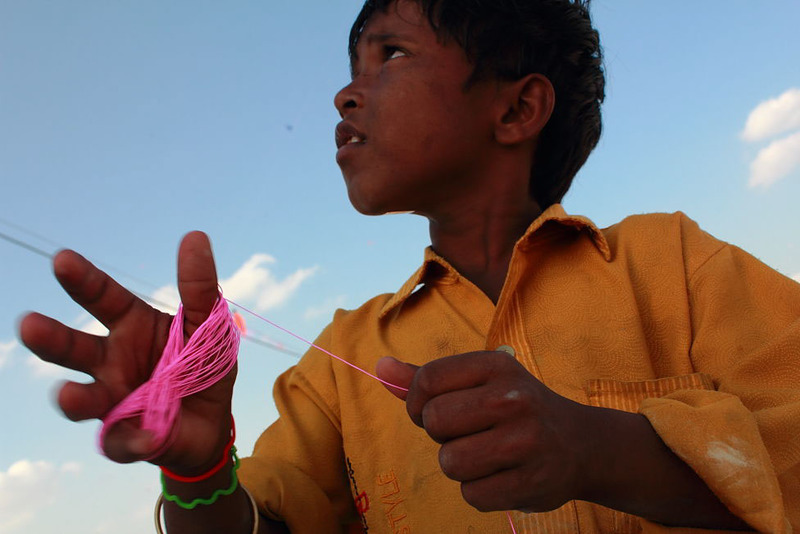 Prashant Bhargava's first feature film Patang (to be screened at BerlinFilm Festival 2011), is set in Ahmedabad old city during the course ofUttarayan Kite Flying Festival. 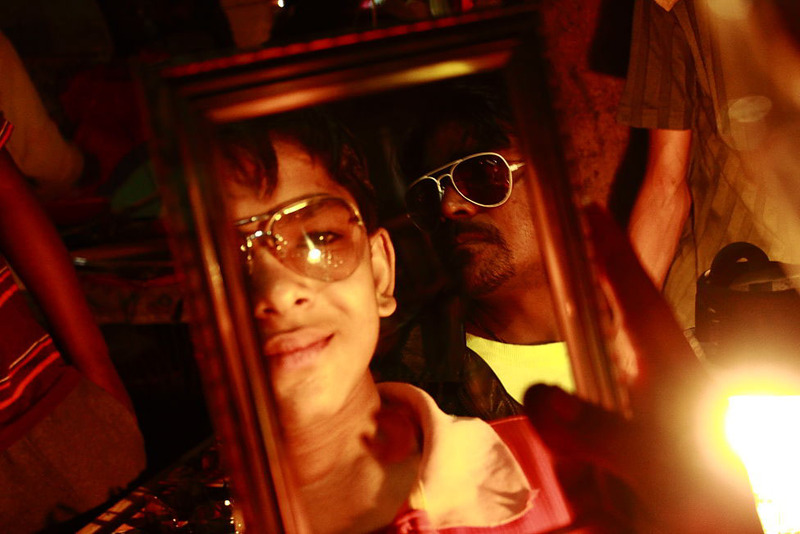 The streets and rooftops of OldAhmedabad's Khadiya and Raipur provides the Mise-en-scène, the elementsof visual style, that define the movie and will probably define how theworld will see Ahmedabad once the movie hits the screen later thisyear. 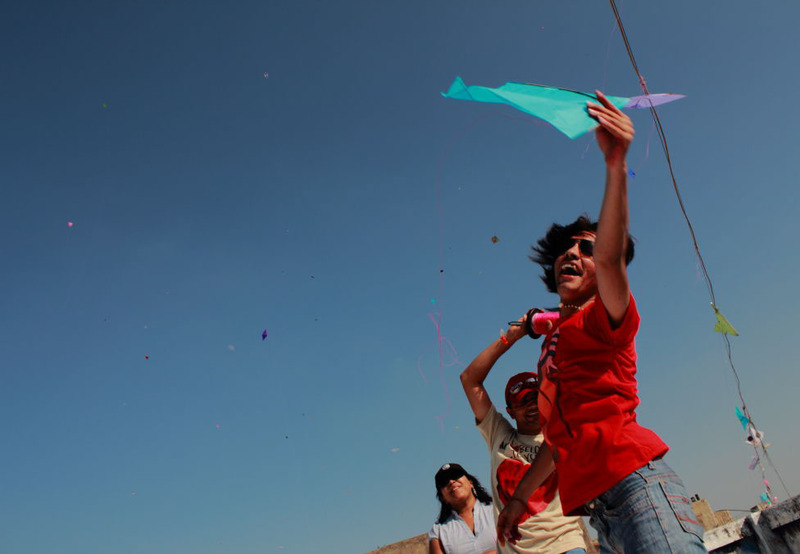 The film was shot a couple of years back but the colours, the magic andfrenzy of the kite flying remains the same. 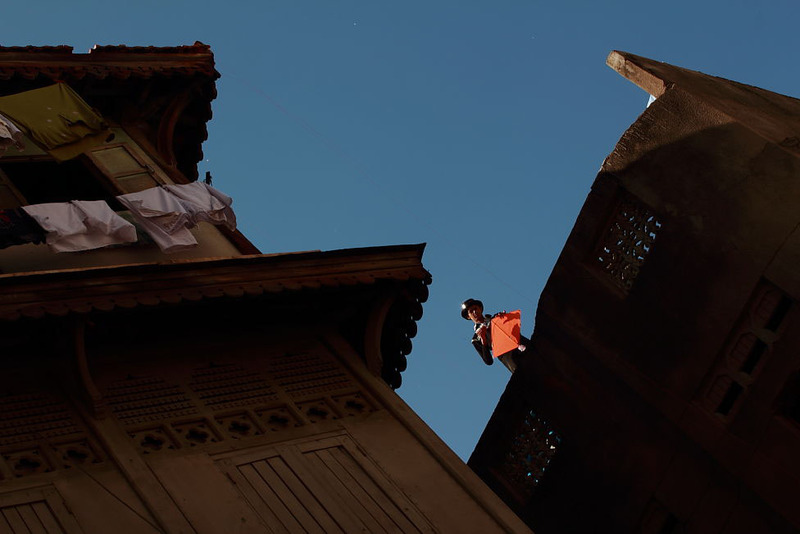 These are the images of the gallis, rooftops and people of thelocality where the film was shot and also of the cast and crew of thefilm. 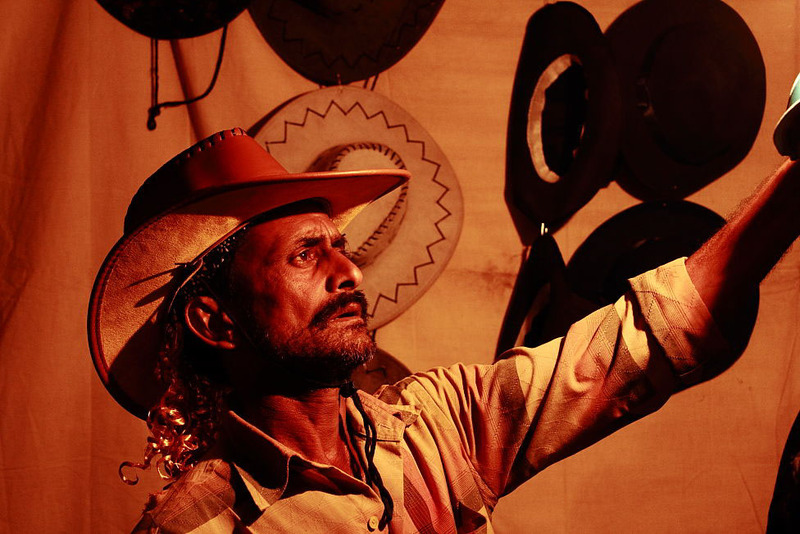 Prashant Bhargava and Jaideep Punjabi who made thiswonderful film invited me over to click photographs that will be usedin the posters and to capture the frenzy and colours of festival. 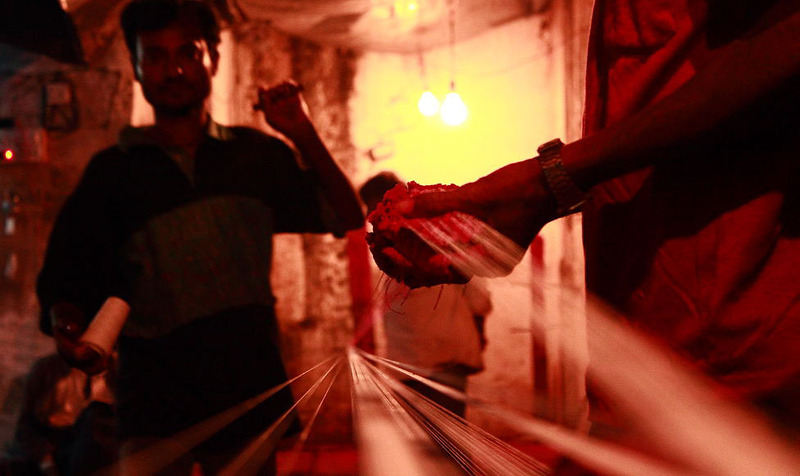 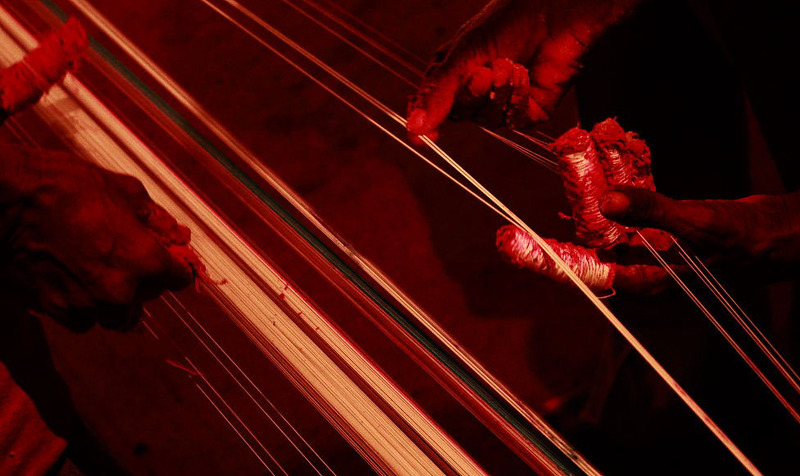 A worker prepares the Dori or thread to fly the kites. 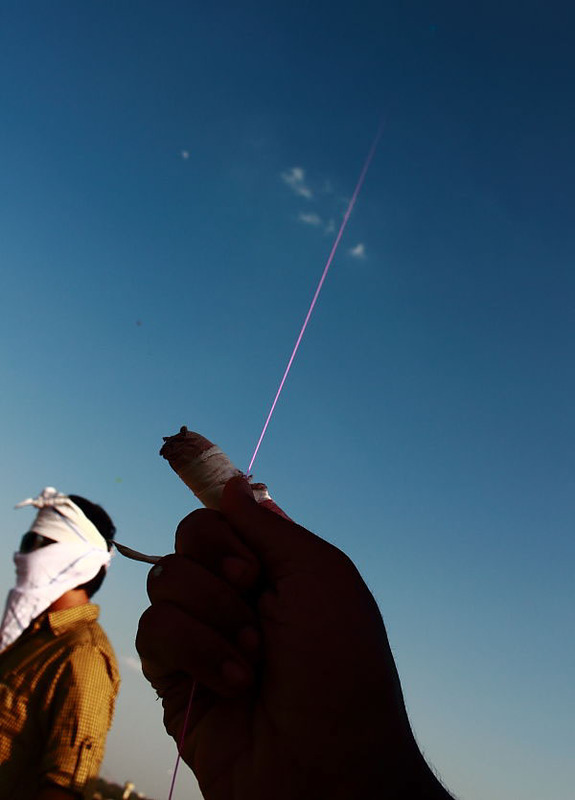 The thread is strengthened with starcha nd sometimes glass to cut down other kites. 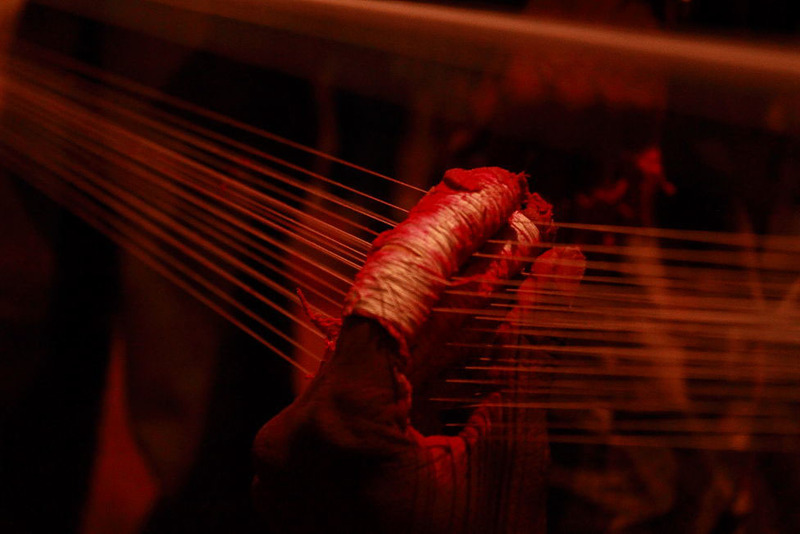 The workers protect their fingers with wound thread. 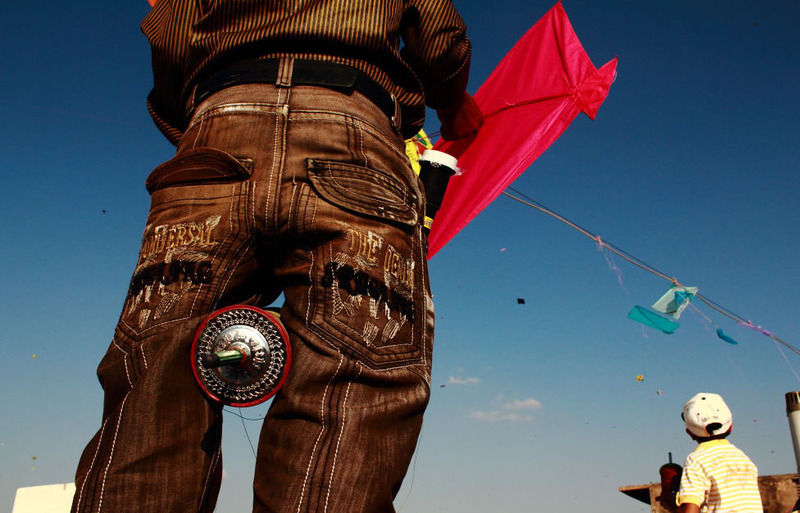 Starch for strength and colour to make the thread stand out or hide against the sky. 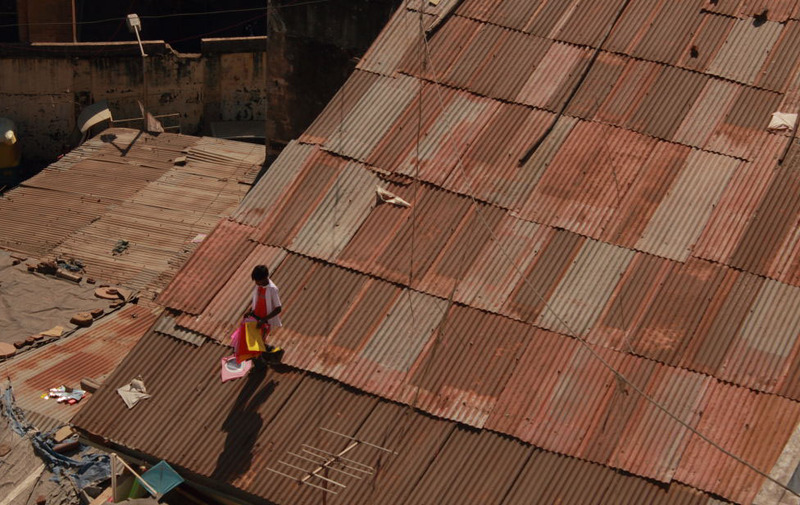 Sunglasses are essential protection for a day on Old Ahmedabad's rooftop and a style statement. 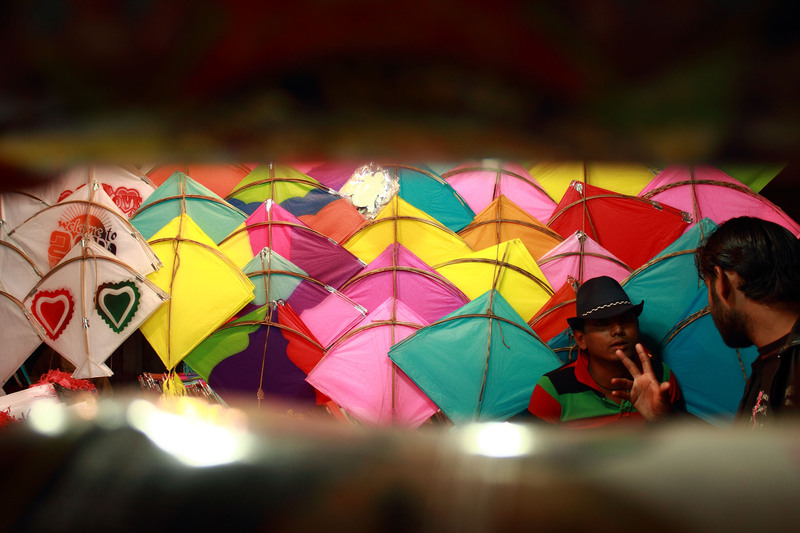 Here's a kite flier (everyone in Ahmedabad is a kite flier on Uttarayan day) checking out his pair. 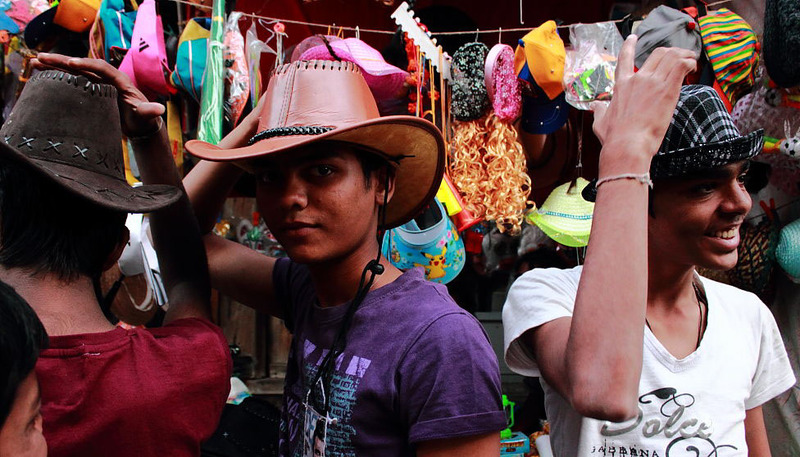 A cowboy hat was this year's style statement. 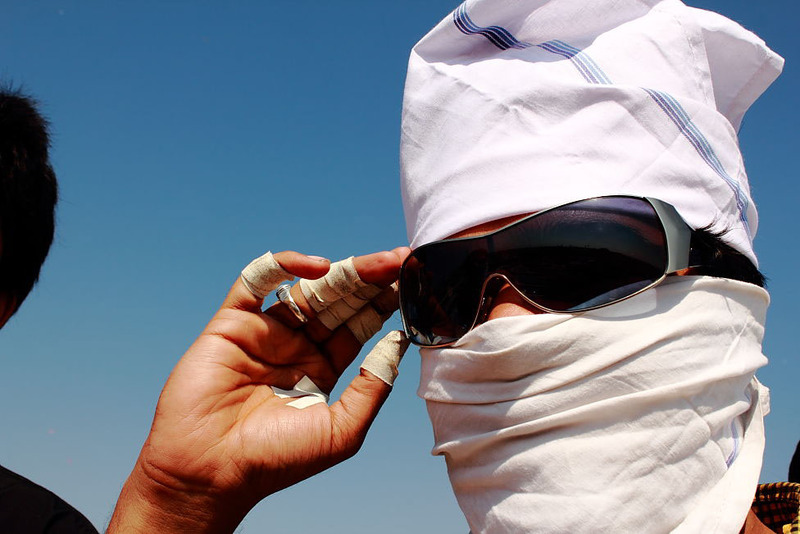 Another essential protection from the sun. 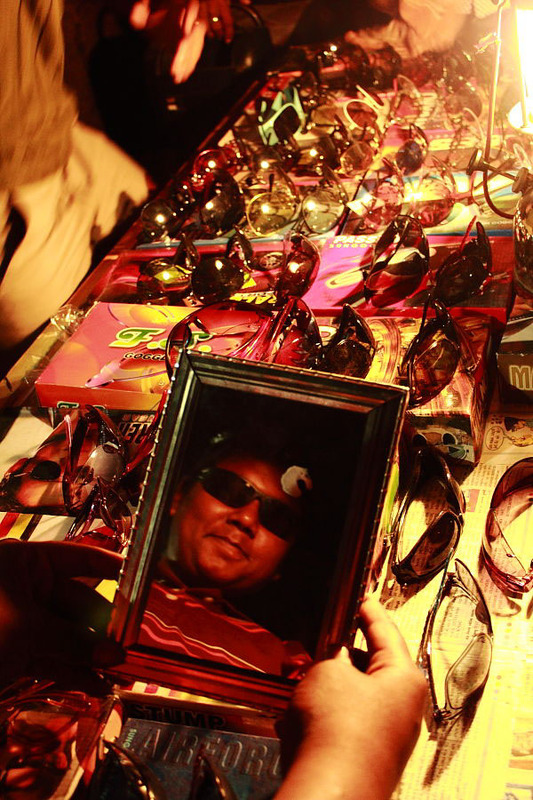 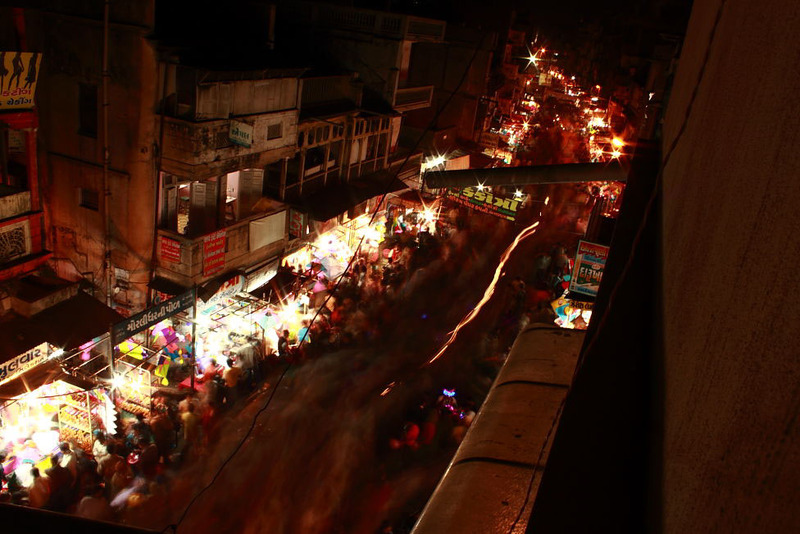 The markets of Old Ahmedabad are open all night long on the night before Uttarayan. 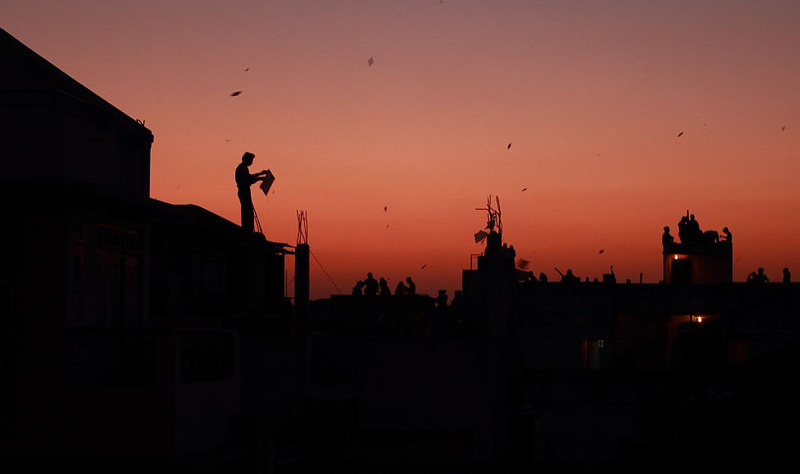 It's the night they prepare for the battle in the skies, the next day. 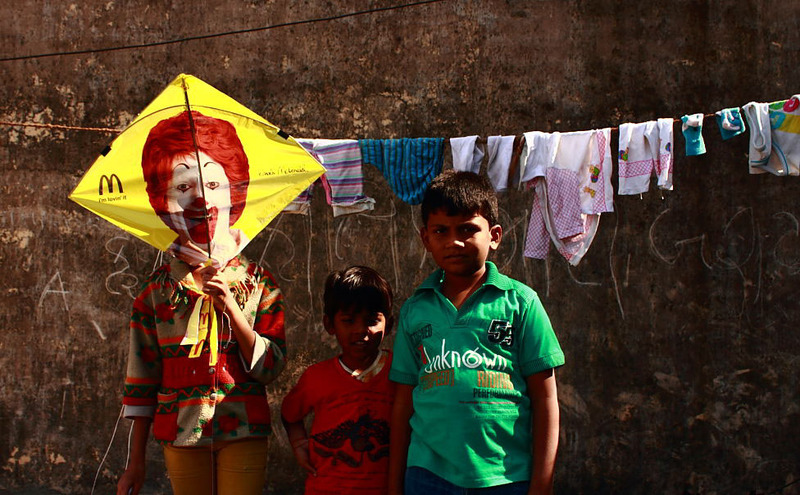 Ahmedabadi people buy kites by the dozens. 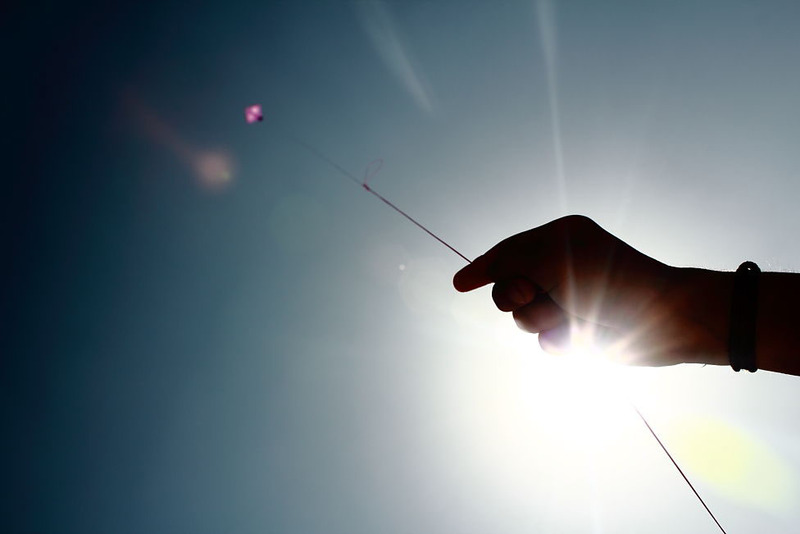 They average time that a kite is in the air is a few minutes. 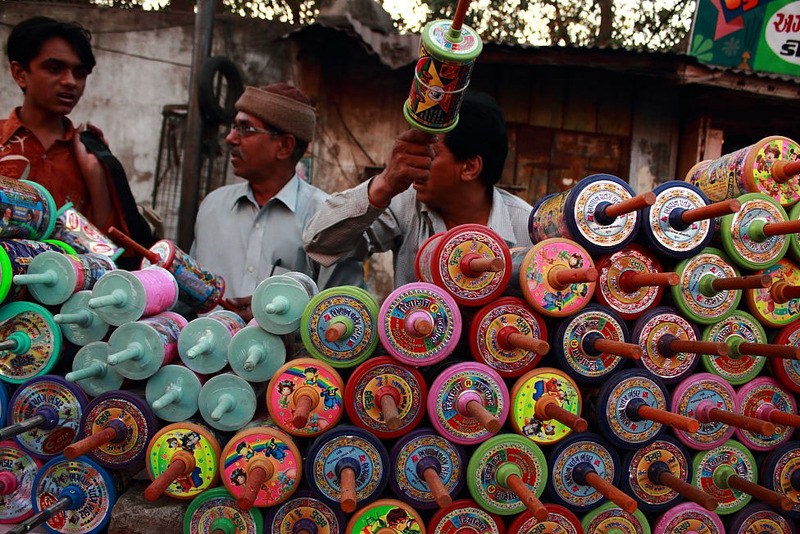 So it helps to have a huge arsenal of kites and thread.